DIY Holiday Gifts: Vegan Hot Chocolate. Aztec Style. 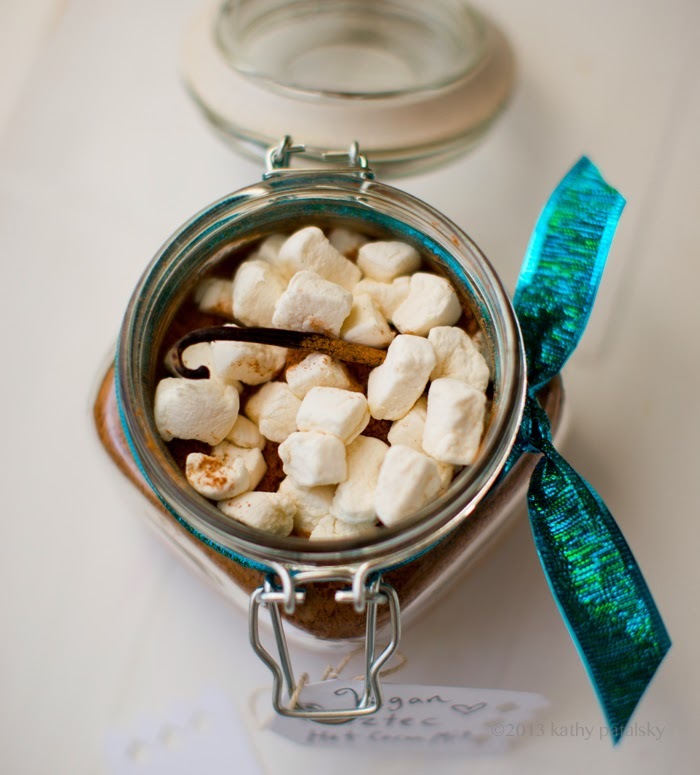 Such a simple idea and seriously, who doesn't love hot cocoa and marshmallows? I used Sweet & Sara mini mallows. You can buy them online. Or you can skip the marshmallow part too. 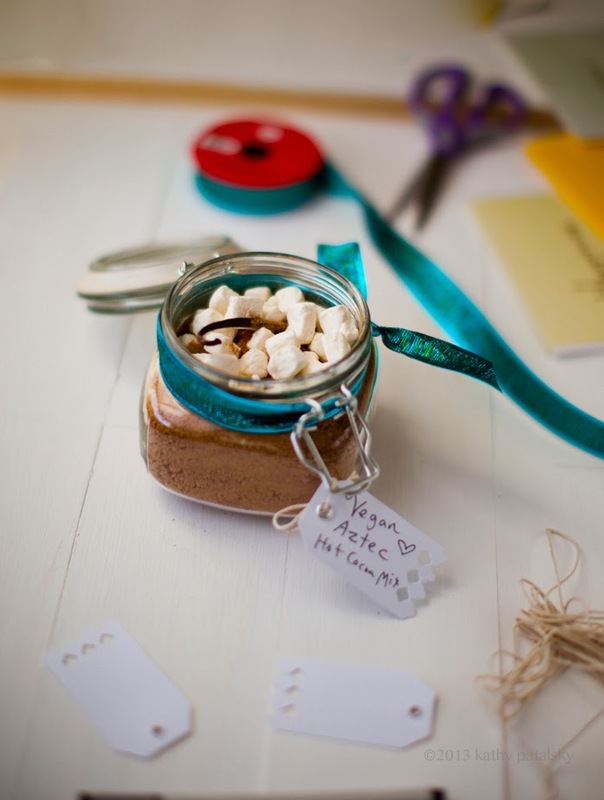 Hot cocoa is a very worthy holiday gift, so whip up a long line of cocoa jars and your holiday gifting is done! And super delicious. 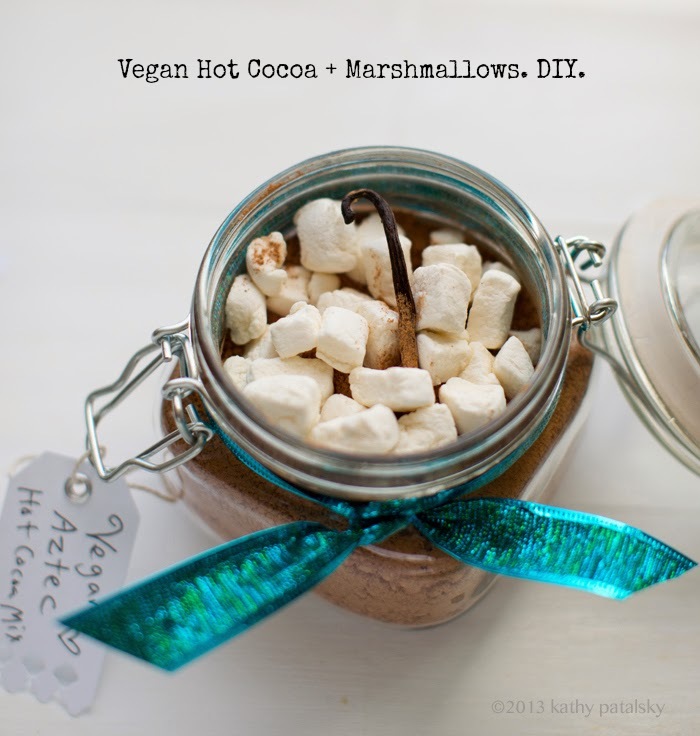 Vegan Marshmallows! 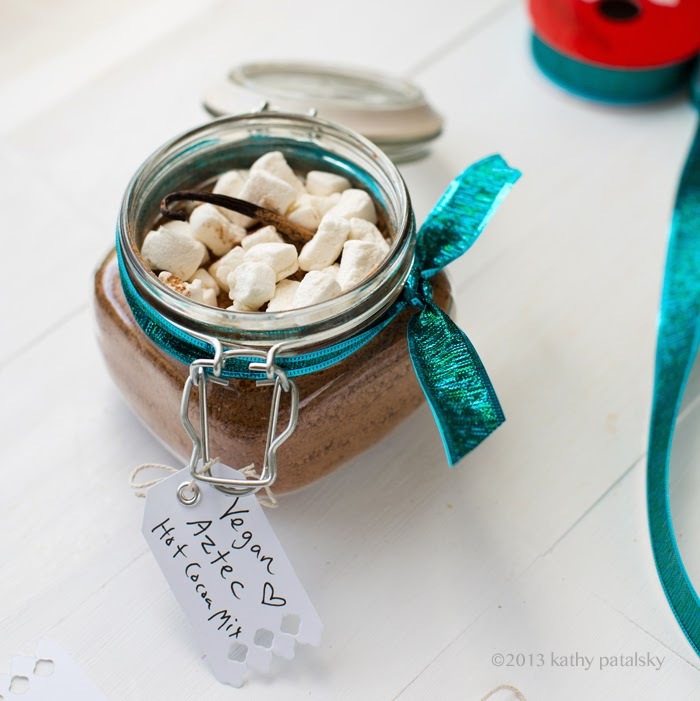 (These should be kept in fridge FYI) *The marshmallows should be good for a half a day or so, but tell your giftees to store the cocoa jar in the fridge if you use Sweet & Sara mallows. Dandies seem to be fine stored at room temp, but they can also keep longer in the fridge. 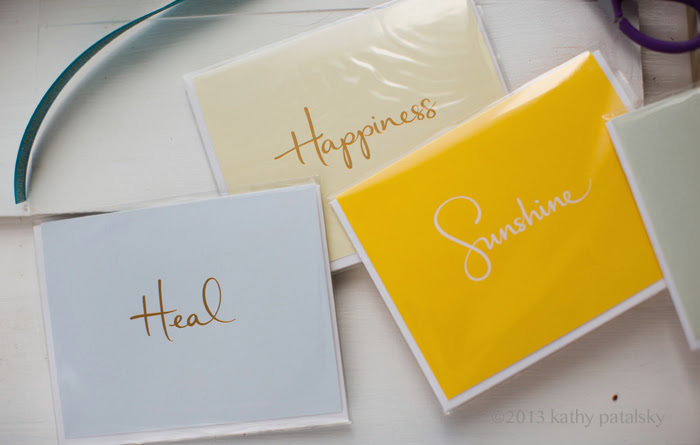 Love these minimalist cards I found at Whole Foods..
Glass jars. You could use basic mason jars or the easy seal variety in my photos. I found these jars at my local craft store for a few bucks each. ..instant cozy night. 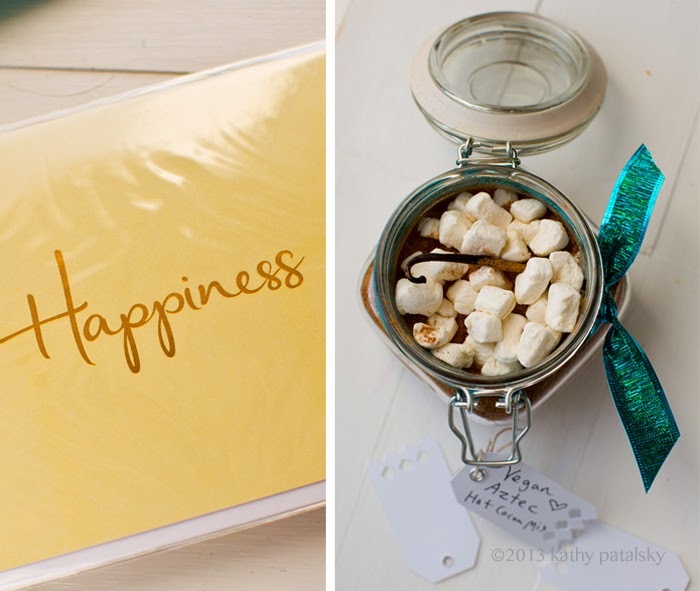 You could even toss in your favorite DVD for your movie lover giftees. Or an itunes gift card. 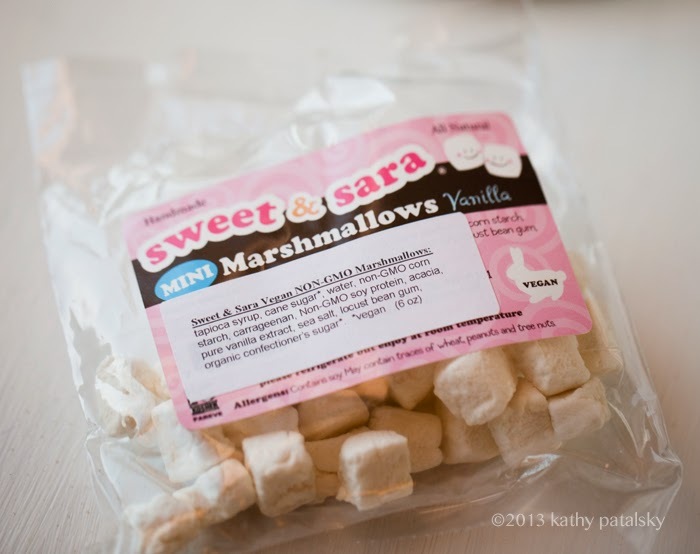 optional: vegan mini marshmallows - buy them at Whole Foods (or another store) or online. 1. Add all the ingredients, except the marshmallows and vanilla bean to a large mixing bowl. Toss well. 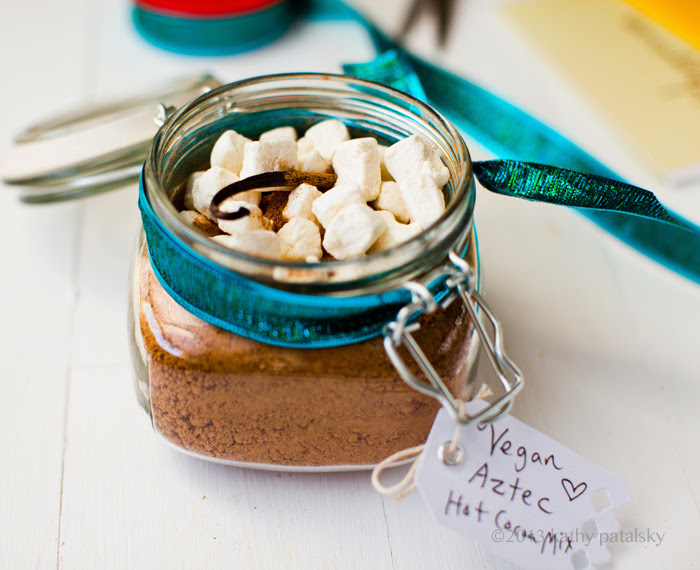 Use a sifter to remove any clumpy cocoa bits. Fold in one of the vanilla bean pieces. 2. 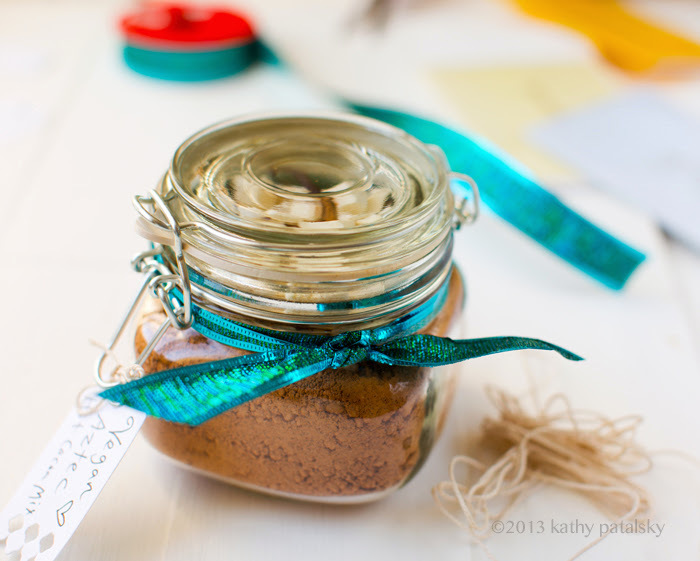 Pour cocoa mix in serving or gift jars. Top with optional marshmallows and another vanilla bean slice. To serve: Use 2-3 Tbsp of cocoa mix for every cup of non-dairy milk. 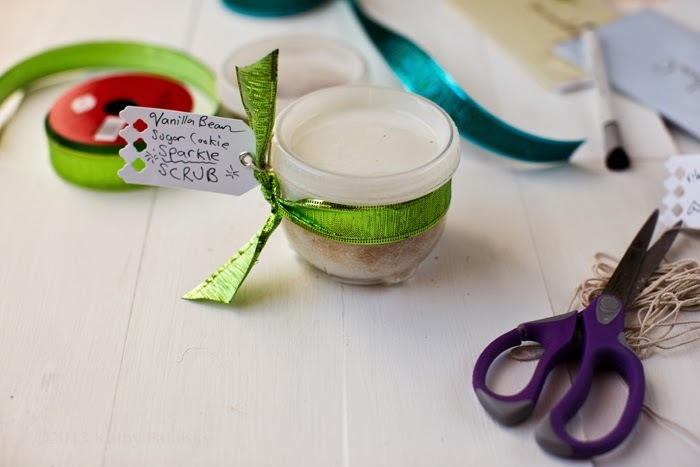 Also check out my DIY Winter Wonderland Spa Day + gift ideas..